Checks if the MIDI file is standard MIDI compatible (.mid) and tries to repair corrupt MIDI files. 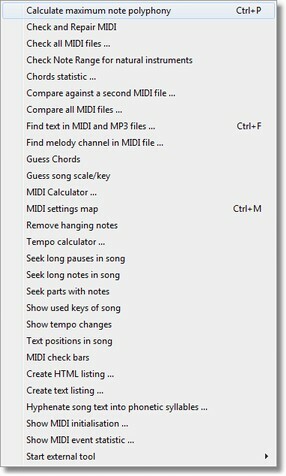 display song key changes used in MIDI song. displays positions and tempo of all tempo changes in the MIDI song.